Angus Young is known by many as have THE rock and roll guitar tone. The sound of a Gibson SG ran into Marshalls with no muss or fuss. 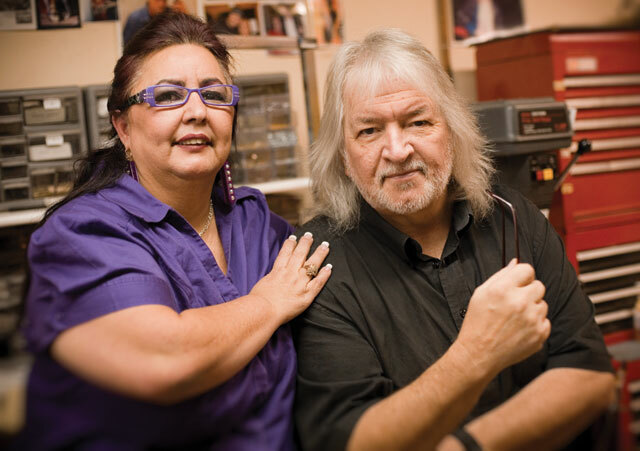 While making the decision on picking up an Angus Young set, I did chat with a few people involved with the process of when Angus approached Seymour to handle some issues with his guitars: Maricela ‘MJ’ Juarez and Frank Falbo. Everyone that is anyone knows that MJ has been working beside Seymour longer than most anyone, and Frank was the VP of Product Development at the time and now runs Falbo Designs (which includes Falbo Guitars). “Why talk to them, isn’t there stuff about Seymour’s Angus Young set on the internet?” you ask. Is that the same internet that says the world is controlled by lizard people? Wait… hold on… er, I get your point. Still, why risk becoming a victim of lore when you can hear it from the people that are hands-on? Know what I mean? Before and during the conversations with MJ, I did dig through some specs of the some of the pickups that people have tried for years to associate with Angus Young. Come on… does one go to the Oracle without having done a little homework? LOL! MJ did suggest a few of Seymour’s pickups that are close to the Angus set – and no, I’m not spilling those beans. MJ also shot down a big rumor about what they are not: the Pearly Gates (production or custom shop). The AY set is also made on the Leesona winding machine with 42 AWG Plain Enamel wire. MJ also helped to confirm that the Leesona can be influenced by someone that knows what they are doing. That is an interesting factoid to anyone that might think the Leeonsa is more of a set-it-and-forget-it cookie-cuter sort of machine. A touch of confusion had developed over the years about the Angus Young set being Custom Shop Pearly Gates. Some of this might have come with Gibson’s choice to put production floor Pearly Gates in a version of the Angus Young SG. And some of it might have come from a smidge of internal confusion… see, MJ had a few irons in the fire when someone looked in on the Angus Young pickups. One of the other irons were some sets she was working on for the Rev Billy Gibbons – which weren’t even Pearly Gates. And… a bit of a ‘shortest distance’ theory took hold and went down the rumor train track. Another curious tidbit has to do with a mention in a recent Rig Rundown. 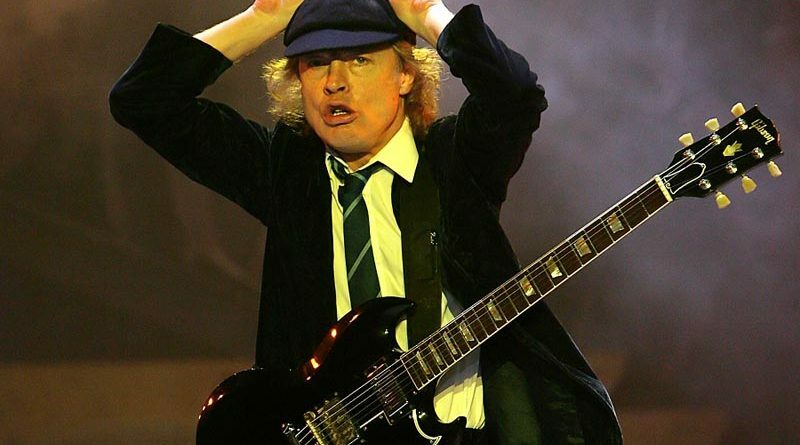 While there is a distinct impression that the ones used by Angus Young are both at about 7.7-7.8 kOhm DC resistance, MJ also clarified that as just being the neck humbucker. The bridge humbucker is wound a little higher. It’s a good thing we have MJ around as Custom Shop Manager, isn’t it?! What’s up with the hotter bridge humbucker? Frank Falbo chimes in about how Angus has a lighter touch then people generally assume. A hotter pickup is a key to helping reach Angus his objectives. For more about what Angus was looking for out of his guitars, Frank talks about how one of the goals was to help the main and backup guitar sound as close to each other as possible. The two guitars are not from the same run or even the same year. Differences in several production specs set them apart. Angus wanted to make his guitars sound similar. This meant the #2 red SG was fitted with changes that included (but weren’t limited to) a bone nut and Graph Tech ResoMax saddles… not that the #1 black SG had those components, but it’s what helped match the guitars sonically. Frank conveyed that Angus plays at ear-shattering levels and it took more than just potting the pickups to deal with unwanted feedback. 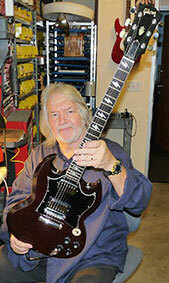 At that volume, even the pickup adjustment springs would rattle, vibrating the pickups into microphonics. My neighbors should consider themselves lucky. haha! Another fun tidbit is that Angus likes a very specific taper on his pots so that certain positions will give him his clean, his crunch, etc. Frank had worked with Bourns on a potentiometer with a certain tolerance and taper that ended up being just what suited Angus’ preferences. When buying the Angus Young set from MJ’s custom shop, she even allowed for a nice new shiny look or more of the relic appearance that Seymour calls “Antiquity”. I went for the aged look and even asked for short mounting legs so that I could try them out in a wider range of guitars. Upon arrival, it’s a pretty standard installation into a 2-hum test guitar. What color are the bobbins beneath the cover? Couldn’t say. 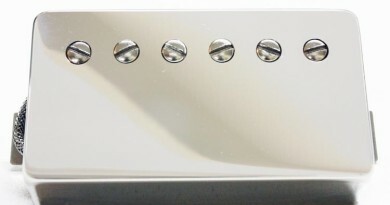 Once installed, it’s the sound of the rock and roll that we all want to hear! A punchy, aggressive vintage character with great note separation and plenty of focus. It’d be a crime to not take a set like this out for a spin, so I ran down a long line of 70s and 80s and even 90s styles of music. Rock and hard rock and blues rock and heavy rock. 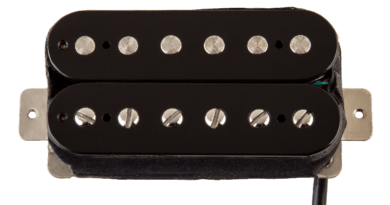 The bridge humbucker is indeed on the hotter side than a more traditional classic PAF style pickup. 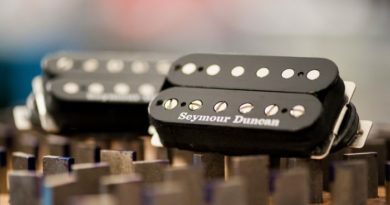 Maybe imagine one of Seymour’s Seth Lover bridge pickups with a sprinkling of grit – and that’s not a hint as to what the AY set is similar to. LOL! Your dirty tones are going to be just fine, but you might need to tweak for your cleaner tones. Plenty of bite and great for all sorts of harmonics, with a very well-tuned amount of low end that walks the line between spongey and firm. The neck position is pretty versatile for both dirty and clean amp settings. I’d have to go ahead and say that after several days with this set and I’d be able to put it on the list as one of the better PAF-style neck pickups that I’ve evaluated. It has a voicing that’s a little more lively and really keeps things clearer than a lot of neck humbuckers a vintage or classic category. The lows don’t get mushy and the upper mids and highs are a little more airy.